I can see your belly. Having enjoying Thantsants More Omphalic Inspection post over at the mighty Somewhere the tea's Getting Cold, I thought I'd have a go at the list of questions that's doing the rounds in blogtown at the moment. Also, talking about myself is one of my favourite things to do. Prepare yourself for things you most likely have zero interest in. So, behold the Saturday. Frankly, this is the thing that piqued my interest in the first place, getting to see what these blogger folks actually look like, and trying to reconcile your half-considered mental image with reality. I'm the hatless one. I offer no background to this photo. Make up a fun story! Q1. Favourite wargaming period and why? Er. This smells of historical. 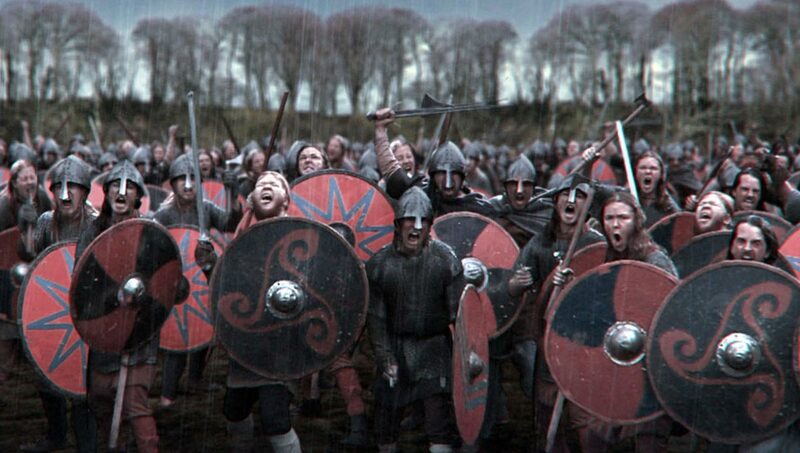 While I do read Wargames Illustrated, and have regular daydreams about painting Vikings, (That came out wrong. Or did it?) I'm more a fantasy man. I guess if I was to take the plunge it'd be Dark Ages. Q2. Next period, money no object? Without a doubt alternative WW1 America. Oh, with Martians. I am still giddy with excitement about the upcoming All Quiet on the Martian Front. I went a bit mad during the kickstarter and now have a rather large shipment due around Christmas. Joy. Crikey. Ahm... okay. In no particular order. And subject to daily change. Q4. Favourite 5 TV series? Q5. Favourite book and author? An impossible question. Tolkien, Terry Pratchett, Ian Banks, Neal Stephenson, George R Martin, Tad Williams, Bernard Cornwell, Michael Moorcock, the list goes on. I do have a special affection for Robert Holdstock's Mythago Wood. Ian Livingstone and Steve Jackson had quite an affect no me too, I must admit! Q6. Greatest general? Excluding oneself! Surely it must be Genghis Khan. The only reason he didn't take over the world is because he died. Okay, his army was pretty great, and he was utterly ruthless, but still, a great general. Warhammer 3rd ed and Rogue Trader. Q8. Favourite sport and team? My Bloodbowl team, the Drakenhof Deadskins. What? It's a sports team. Just not a real one. Q9. If you had a one use only time machine, when and where would you go? Back to get last weeks euro lotto numbers. Yes, I am that shallow. Look, it's a one use time machine, so there's no point going back to witness the battle of Waterloo or the glory of Rome, is there? It'd be great for a day or two, then you're stuck there with no internet. Q10. Last meal on Death Row? A delicious skeleton key cake served with a pardon from the governor. Q11. Fantasy relationship and why? Q12. If your life were a movie, who would play you? It's a dead heat between Nemesis, Judge Dredd, Rogue Trooper and Johnny Alpha. Not playing more of them. Professional (insanely highly paid) dark ages/medieval re-enactor. When a mate of mine went purple and had to lie down after losing 30+ dwarves to a desperate purple sun from my vampire lord, then lost his general seconds later as my wight king beheaded him with a lucky killing blow. I couldn't breathe I was laughing so hard. It even gives me a chuckle now. Q20. The miserable git question, what upsets you? Lack of empathy and poor manners. Among other things. There we have it! If you've made it this far, then well done, well done indeed. I was trawling through my forum replies this morning as I am want to do. 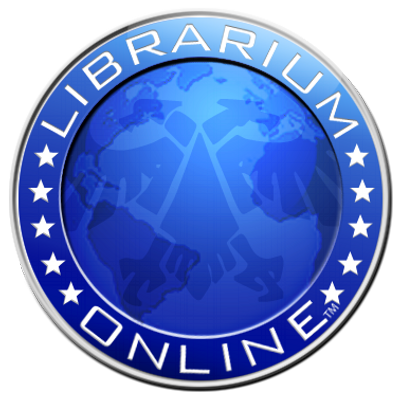 I run a 'Fimir of Albion' thread on quite a few forums as there's no Fimir.com or BogDwellers.org fimir army site to plant my flag on. 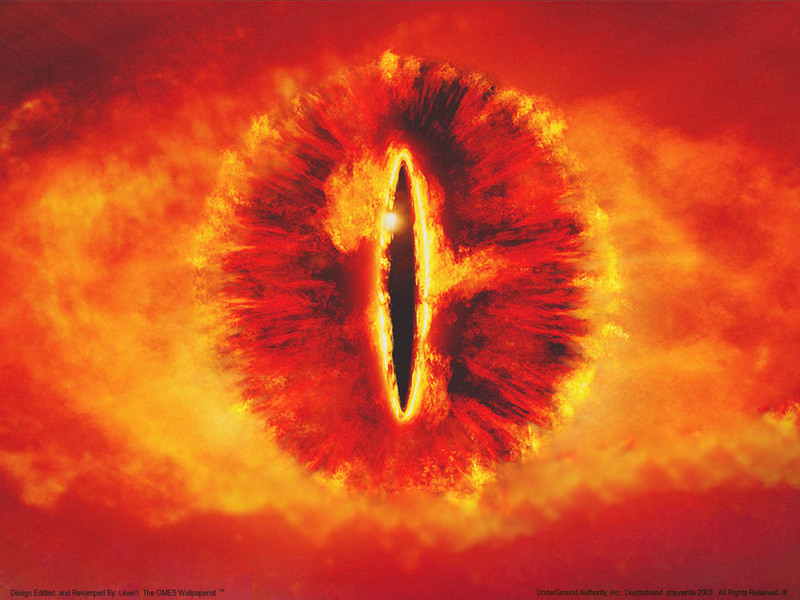 (Well, there is a fimir.com, but it's sadly got not a single cyclopean monster on it.) The feedback and encouragement on the various fora is beyond price too, and keeps me trucking on. I was speaking to Aly Morrison at the weekend and he mentioned this thread, said how fantastic the army looked and I should take a look. 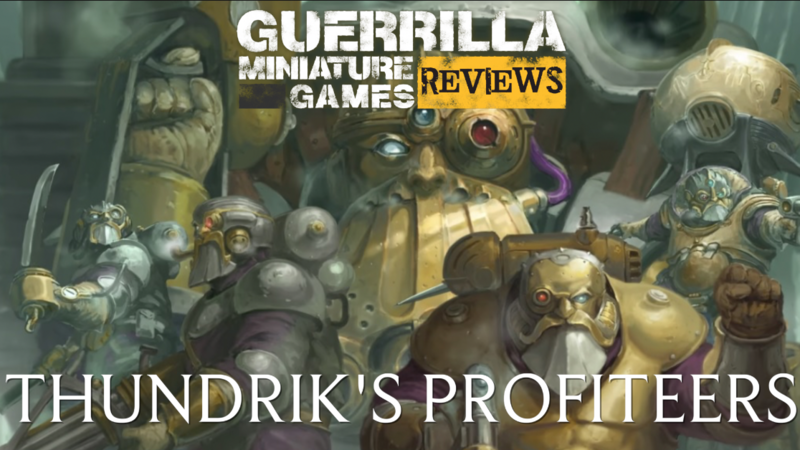 He's right this army is looking superb, very impressive! I can see why it's one of his favourite threads. That made me put my tea down, I can tell you. For anyone who doesn't know, and shame on you if you don't, Aly Morrison is a miniature designer of some considerable repute, who has been in the industry for an age of man. 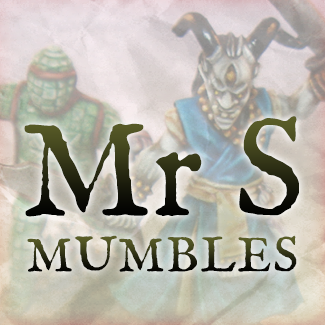 He co-founded Marauder Miniatures back in the late eighties. 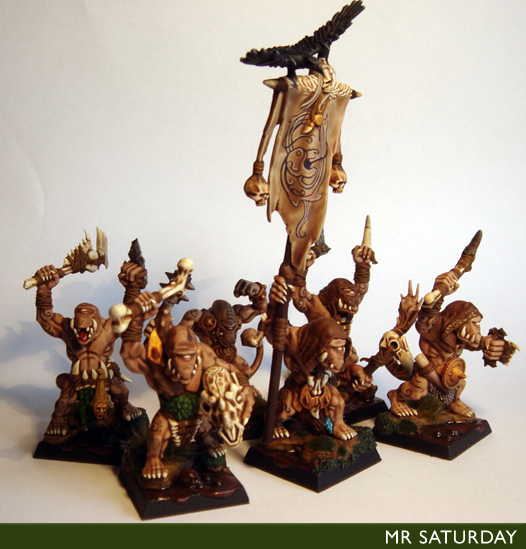 Aly and Trish Morrison produced such wonders as the MM90 series of chaos dwarves, and, a personal favourite, the MM50 skeletons. 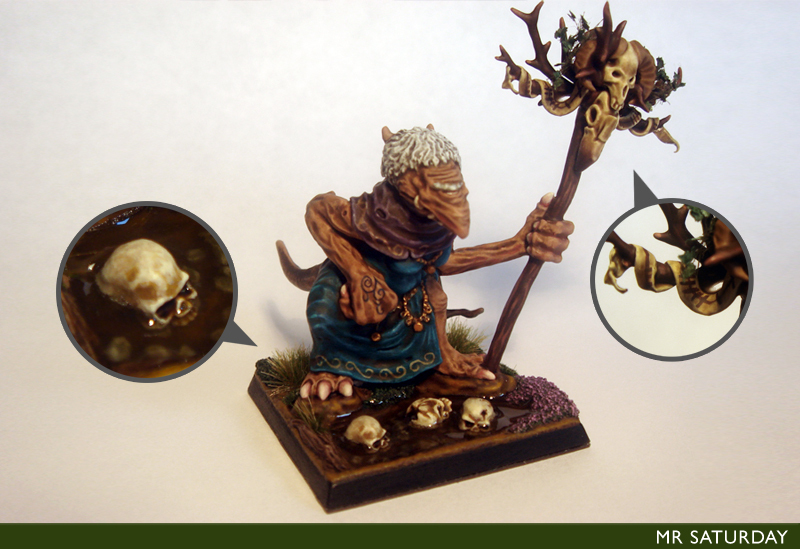 He has produced a wealth of great miniatures for Games Workshop down the years. And, apparently, he likes my fimir. My day, she is made. Today I've been experimenting with a new method of adding drool and saliva to my recently completed marlwyrm. I've not added saliva or drool to a model in a long time, and my materials and techniques needed a little updating. After some advice from Madrab (Ciaran Bolger) from the Wargaming Ireland forums, I had a lead on a new product, UHU Twist & Glue. I had been using Evo Stik Impact, but this was only good when mixed with an ink for blood, gore and such as it has a yellow tint, so no good for saliva. Then main difference between Impact and Twist & Glue (T&G from here on in) is that Impact is viscous out of the tube, but T&G is runny, and needs to be allowed to partially set before use. After a few minutes I used a thin steel rod to twirl some glue onto, and hence onto the first contact point on the worm's mouth. I then drew out the glue into the stringy shape I wanted, and rolled the glue from the rod onto the second contact point. Once dry, I figured that while it looks great, it'll be soon annihilated by use on the table, so I added a coat of gloss varnish. This has two benefits, it hardens the glue to better withstand the rigour of gaming, and also thickens the strands so they can be more easily seen. I'm pretty happy with the results. There has been a flurry of images of the new lizardman models over the last couple of days. The now mandatory big multi-kit, new flyers, characters and so on. They all look pretty good too. The Bastilodon with the ark of Sotek (I'm assuming that's the one with the snakes) looks a bit weird, but still interesting. It looks like the lizards are getting a major shake up, and not before time. This post is more about how lizards are the first of the army book I'm really looking forward to seeing, and the next few even more so. The last few book, warriors, daemons and high elves and so on have been good, and I applaud the more balanced approach favouring multiple viable lists and high octane release schedule, but I'm really looking forward to seeing what happens from now on. Dark Elves: Rumoured to be possibly next. The army is not as powerful as it was, and is still pretty solid, but the sacrificial dagger and unkillable pegagus lord should be nervous, as well as the current incarnation of the hydra. Though, I can see a massive hydra-based multi-kit. 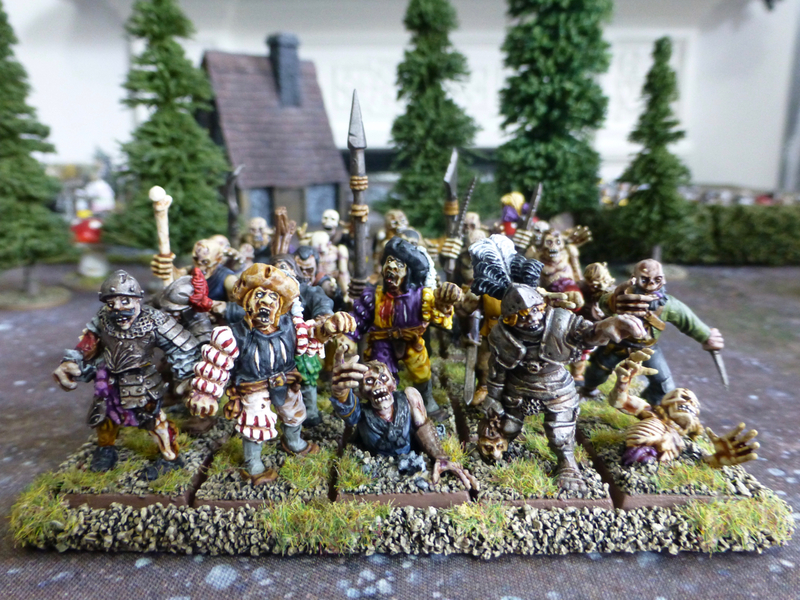 Dwarves: These guys need an injection of fun, both for those who play with and against them. The rumour is golems and airships, but who knows. One thing is for sure, they are pretty boring to play against right now. Sorry dwarf players! Wood Elves: Ah, the poor wood elves. I hear rumblings about the welves, who are set to keep the guerrilla fighter approach, with powers to affect the enemy army's formations. A veritable avalanche of new units such as monstrous stag cavalry and new tree beasties. I have a feeling there will be a lot of wood elf armies once the new book hits, possibly amongst the more experienced players. Bretonnians: Crying out for a new book, though they have become more popular since the renaissance of cavalry in 8th. They desperately need some variety, the amount of units available seems very small compared to recent books. Skaven: What can I say? Currently they have an awesome variety of hideously useful toys. 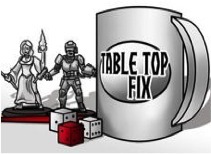 Prepare the nerf bat for some stuff, (goodbye doomrocket) and big up some of my favourites such as the poor rat ogres. A delicate touch is needed here, no knee-jerk nerf everything, but a considered approach to balance. Beastmen: They need their big monsters to not be rubbish, and some more tools for dealing with big enemy monsters. They're a ways out though, I reckon. The first marlwyrm rider is finished! It's great to get the first of the bigger models for the army finished, up until now it's all been infantry, with the exception of the meargh. Now that the two main blocks are done it'll be nice to work on the larger and more unusual models for the army. I do plan on adding another block later on, the warped, but that's down the road. The wyrm is 99% done, but I still have to add some drool to the tongue and mouth. The glue I use had dried out, so I have to wait for some more to arrive. Apart from that, it's done. It turned out pretty much as I wanted, neutral earthy tones to fit with the rest of the army with a few points of interest. I like how the green boils turned out, I was going to do them very dark green, but after some advice I changed to bright greeny yellow. The wyrm's mouth and the fimm rider's shield and cape also help jazz up the model. Hopefully the end result is hideous enough to distract my opponent some. I'm doing a few tests for character colours at the moment. Having already done the meargh and been very happy with her colour scheme, I decided to use the turquoise and purple used on her for the higher ranking characters in the army. As pretty much nobody knows what a fimir character looks like, I need a way for my opponents to know who is what as well as making them obviously of higher status. Purple with turquoise would be for the lords, Mistmor and Flaithmor, and then just turquoise for the heroes, Flaith and Finmor. 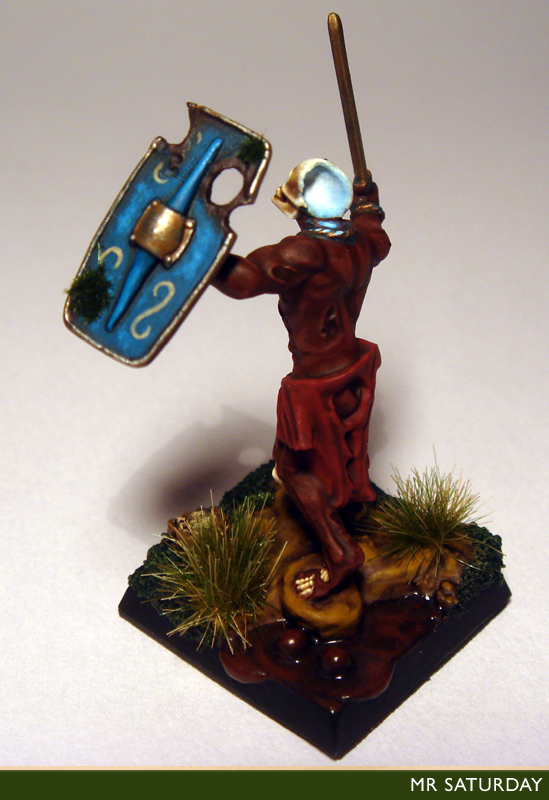 I think I'll also add some turquoise cloaks and bits to elite troops like the marlwyrm riders, fianna fimm and so on. With the army having a very earthy palette, it needs some of these tones, along with the leystones and shields to lift the models a little. The half dead in particular needed some contrasting focal points to make them pop, the shields and glowing eyes being the device to do just that. As to characters, I have some decisions to make. I have a converted battle standard Flaithmor in the works, a shearl wizard primed, as well as the finished meargh. Next up I think a Flaith using Jervis Johnson's original fimir, as he kind of has to be in the army somewhere. 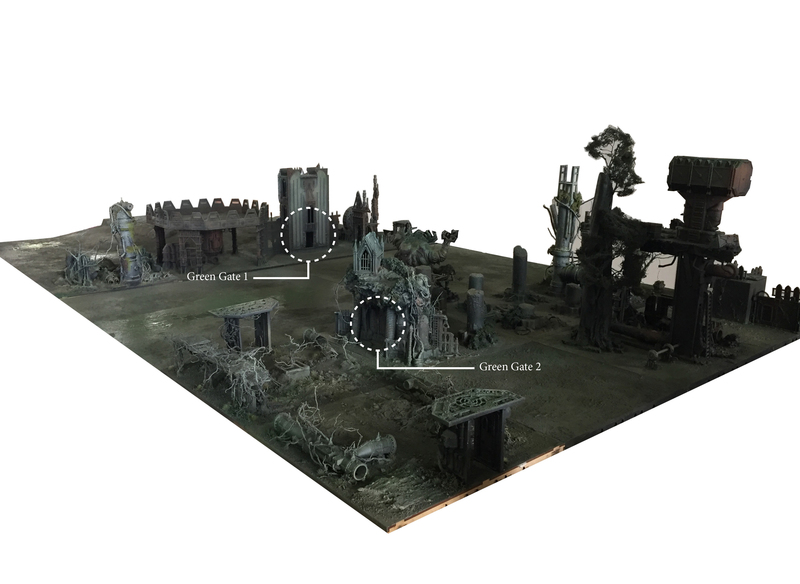 I want to convert a human scale dirach, which I'm using this model as the basis for. Take off the head and give him a horned dirach hooded head, change the staff some and he should look groovy. I want to include some of the larger dirach too so I had an idea to use one as Throg. It seems appropriate for a dirach to be leading a unit of fenbeasts (trolls), and gives me an excuse to paint up the Nick Bibby dirach with the staff. I do want to add the other dirach and nobles in too, at some point. The nobles, along with the Forge World fimir, are destined for a unit of eight to act as ogres, or actual fimir from monstrous arcana. The second large dirach might end up on a converted war shrine. I've pretty much finished the skin on the marlwyrm. 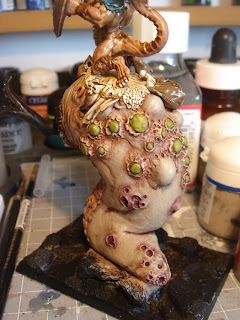 He still needs his underbelly and pustules painted, but the main area of flesh is about done. In the end I went for GW rakarth flesh washed with ogryn flesh and then worked up again with rakarth flesh layered up to about 3:1 rakarth flesh:white, then washed with gryphonne sepia. I then washed the sores with leviathan purple, and finally baal red. It needs a little tidying, but it's pretty much there, Next, the underbelly and boils. 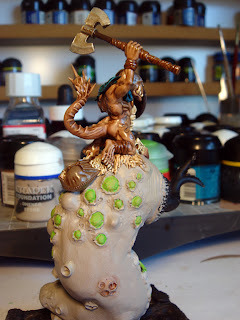 The boils will be highlighted from green up to yellow, then washed with sepia again, as I want them to stand out some. I've pretty much finished the rider. It's a little hard the to see the work with the ink shining on him like oil on a body builder. He'll be matted up soon enough. I do rather like how the shield is turning out, the detail takes washes lovely. I'm cautiously applying the base coat to the worm. I'll probably use this scheme, or a variation on it on all the wormy guys in the army, so I need to get it right. I think the fleshy tones for the main body and a lighter version for the underbelly have potential. 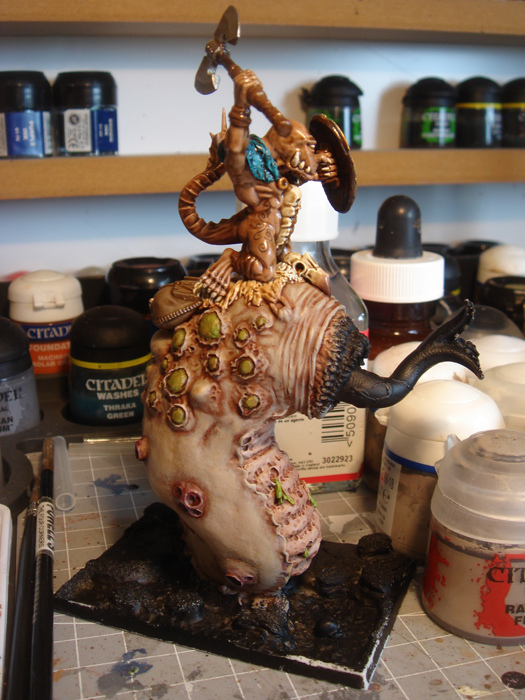 I was afraid of him washing out, so I chose the yellowy green for the pustules. Originally I was going for very dark green, but I think it needs some brighter colours to pop. I'll probably highlight this up to almost pure yellow. The gums and tongue will be red/purple with a gloss varnish. Not 100% on the tongue, but purple is the idea thus far. 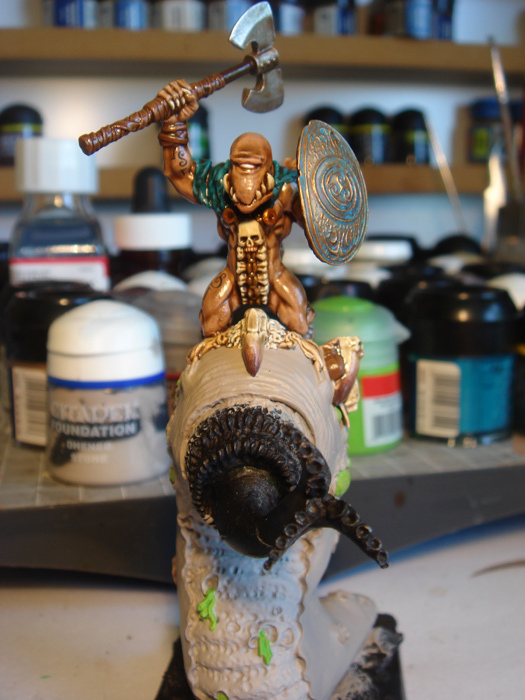 I started painting the first wyrm rider the other evening, and here's what he looks like thus far. Not a whole lot of progress, just base coating. I still have to add some tattoos to the rider before he gets some washes. As the weapons the fimm carries are ancient, some verdigris on the shield will probably look good. I gave him a turquoise robe too, the same as the meargh. All the noble and higher ranking fimir will get some turquoise cloth, the higher the rank, the more they get. 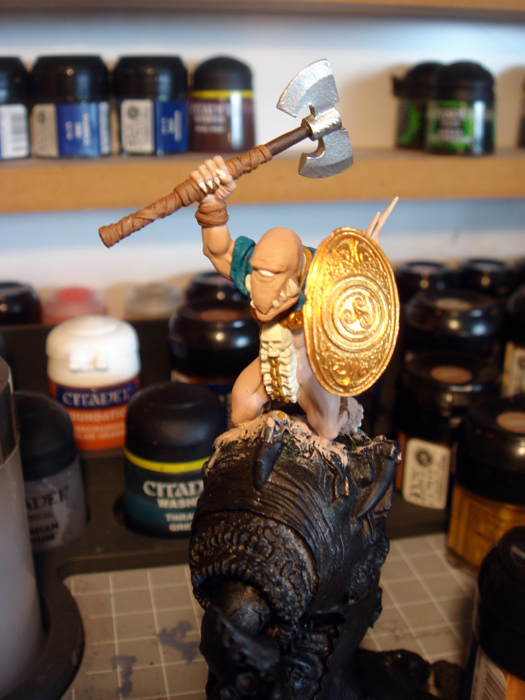 The saddle will probably be the same kind of hide used on the fimir standard bearer, basically sheep's hide. 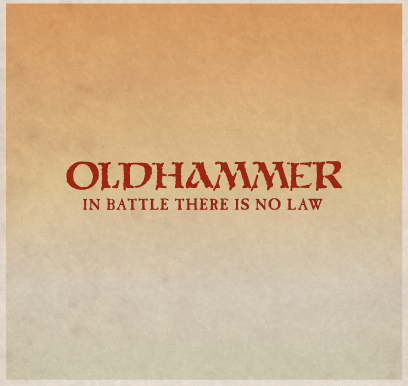 You can see the colours used on the standard below. The wyrm itself I am very much looking forward to painting. I think I'll go with GW rakarth flesh for the main body, with dark green gloss on the huge boils on it's back. Not entirely sure what way to go with the front of the wyrm. It looks similar to a snail, reckon I need to do a bit more research there. Reddish purple for the gums I think, with a dark red or dark purple tongue. The mouth, boils and tongue will all be gloss, with some elastic glue added for drool. Yes folks, it's gonna be disgusting.